PGA Professional Matt Keller takes a look at the Ping G20 hybrid. 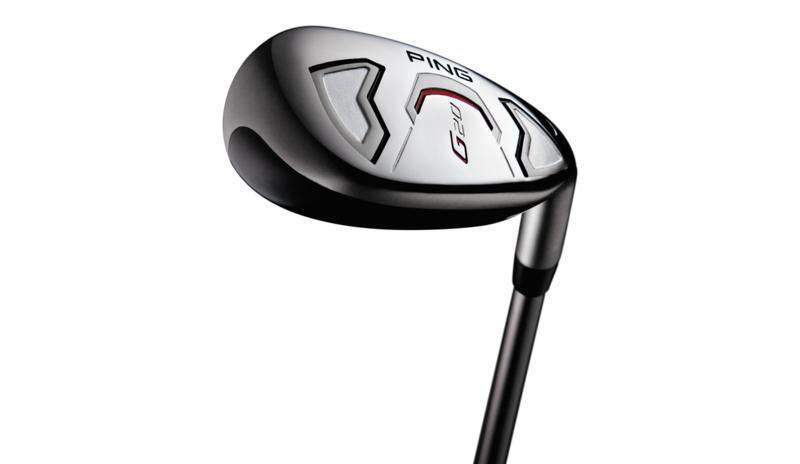 The PING G20 Hybrid is available HERE from 2nd Swing. The Ping G20 hybrid is a consistent performer and achieved the 2012 Golf Digest Gold List. Although the appearance is a little unorthodox, mid to high handicap players will appreciate how the G20 hybrid consistently performs. Ping designed the G20 hybrid with an offset hosel to increase launch angle and decrease spin for straighter shots. The flatter lie angle is intended to produce a more visually appealing hybrid. Combined with additional bounce, the G20 hybrid launches the ball from even the thinnest lies. The G20 appears very simple and rates 8 out of 10 in technology. The Ping G20 Hybrid features an offset hosel design with a 17-4 stainless steel club head. The G20 resembles more of a driving iron than a hybrid. The steep club face and thick top line appear like an iron. The club head design features a satin finish on the club face with a dark gray club head. Compared to the previous G15 model the G20 has a more compact club head design. However, compared to the majority of other hybrids available, it looks much more clunky and deep. In my opinion the Ping G20 is one of the worst looking hybrids I have ever seen. Personally, I am not a fan of the offset design and the club rates 5 out of 10 in appearance. I tested the 20 degree Ping G20 hybrid with a stiff TFC 169H stock shaft. Luckily, the G20 hybrid performs much better than it’s appearance. The G20 feels similar to the majority of other hybrids with a D1 swing weight. The G20 hybrid is intended as a game improvement club that delivers a high launch and ball flight with maximum forgiveness. In fact, the ball flight is high and straight with little ability to control trajectory and shot pattern. Players who prefer to work the ball should play the Ping i20 hybrid. The G20 is so forgiving impact feels similar regardless of where ball strikes the club face. With a high launch and solid performance the G20 hybrid is a perfect fit for any high handicap player. Despite the unappealing appearance, the G20 hybrid rates 9 out of 10 in performance. Mid to high handicap players should be required to try the Ping G20 hybrid. This hybrid is a solid performer that is super easy to hit and keeps the ball in play. In addition, players that struggle with a traditional hybrid might benefit from the deeper face and more compact club head. The G20 was originally priced at $159, directly in line with other game improvement hybrids, but now it is available at 2nd Swing from $129.99 new with used models starting at $79.99. Overall, the Ping G20 hybrid is not the most attractive club, however, it performs extremely well and rates high in value at 9 out of 10.